I was basically brought up by my mother and her family because my father - who was a poor boy made good who became a successful surgeon, house in Wimpole Street and that kind of thing - he died when I was only eight years old. Up to that time - I was born in London and we lived in London - I hardly knew him and we saw him sort of Sunday lunch, literally. I guess he may have provided some genes which are relevant to my subsequent life but certainly no cultural input. My mother's family were sort of landed gentry, hunting and shooting and that kind of thing. I never heard of an idea, either scientific or political or literary, discussed in my family. So it's not obvious where it came from. Certainly my passion for natural history was very early. I can remember even when we still were in London, insisting, when I was given a treat, being taken to the Natural History Museum to look at dinosaurs, or to the zoo to look at animals there. I had picture books about animals. I read stories about animals. And when we moved... when my father died, when I was eight, we moved to the country, mostly on Exmoor, where my grandfather had a house. And I watched birds, I collected beetles, I kept, you know, any animal that I could keep. So I had this passion for natural history which I cannot explain, it was not something I got from an adult. Indeed, I remember vividly, it had quite an impact on me later, as a matter of fact. When we went to live in the country, it was in the winter, and we put out food for the birds, and the birds came to feed at a bird table. And I suppose something like a dozen species were coming. And I identified these by... not by name, because I didn't know their names, and I made some mistakes. For example, the blackbird, which is black with a yellow beak, and the dark brown female, were different kinds, because how would I know otherwise? And it was really... I think it was six months or so before some adult had the sense to give me a bird book. And the excitement of going through the bird book and finding out that the birds that I had identified were in the book, was very great. And it did, as a matter of fact, convince me later on that as least as far as birds are concerned, species are real things, and they're not just in... in the mind of... of the scientists, they really are out there. But I illustrate it to say that I was fascinated by natural history but there was really no adult input that I can discover. 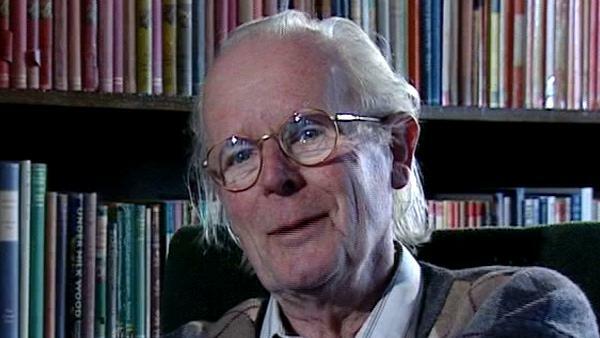 The late British biologist John Maynard Smith (1920-2004) is famous for applying game theory to the study of natural selection. At Eton College, inspired by the work of old Etonian JBS Haldane, Maynard Smith developed an interest in Darwinian evolutionary theory and mathematics. Then he entered University College London (UCL) to study fruit fly genetics under Haldane. In 1973 Maynard Smith formalised a central concept in game theory called the evolutionarily stable strategy (ESS). His ideas, presented in books such as 'Evolution and the Theory of Games', were enormously influential and led to a more rigorous scientific analysis and understanding of interactions between living things. Richard Dawkins was educated at Oxford University and has taught zoology at the universities of California and Oxford. He is a fellow of New College, Oxford and the Charles Simonyi Professor of the Public Understanding of Science at Oxford University. Dawkins is one of the leading thinkers in modern evolutionary biology. He is also one of the best read and most popular writers on the subject: his books about evolution and science include "The Selfish Gene", "The Extended Phenotype", "The Blind Watchmaker", "River Out of Eden", "Climbing Mount Improbable", and most recently, "Unweaving the Rainbow".